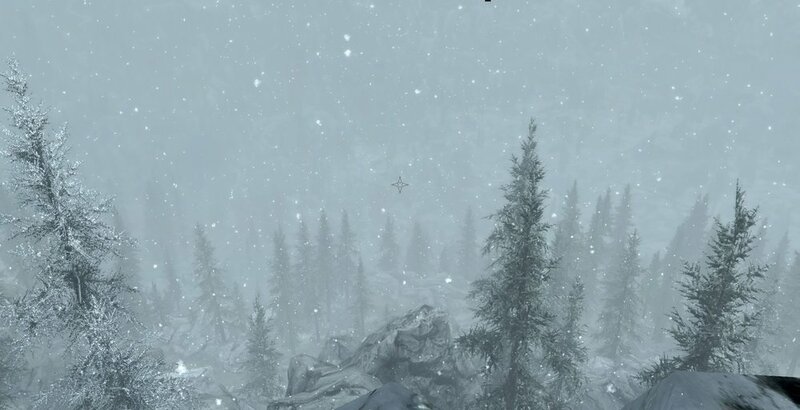 AMONG ALL THE games I’ve played over the past decade, Skyrim holds a special place. I’ve probably spent longer talking to Belethor, the smarmy but conveniently-placed Whiterun merchant, than I have playing many other titles from start to finish in their entirety. I’ve quested for hours to win the favor of a lone companion for the sole purpose of having someone to help carry my unwieldy piles of stuff – an apt if depressing analogy for real-world relationships. Released in 2011 to great fanfare, the game retains a robust player base, mostly due to the unending stream of mods that have improved, expanded upon, and even provided entirely new plotlines for the game. But how does a basic, unmodded, standard playthrough hold up in 2017? First, the graphics: the unpopulated wilds are more beautiful than ever in HD, even six years – a lifetime as far as graphics go – after the game’s initial release. Ungenerous critics would say this is because Bethesda’s graphics have not kept up with the current generation, and that because Fallout 4 did not make any substantial improvements on its predecessor, Skyrim was able to avoid looking dated. 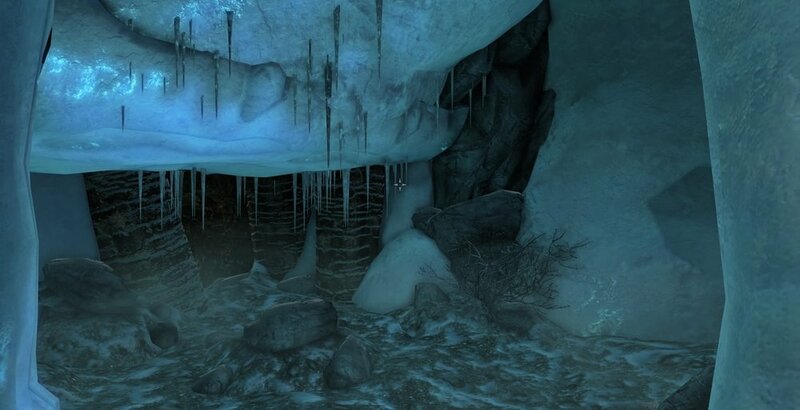 But there’s an undeniable beauty in the details of Skyrim: cave floors carpeted with strange ferns and glowing rocks, aurora borealis backgrounding twin moons, and an uncanny, overstretched look that affects everything from thatched roofs to sweetrolls to dwarven helmets, and even reaches as far as the game's fonts, quest arrows, and UI. The sound is likewise fantastic (at least on PS4, where it seems to have avoided the compression problems that affected the PC version), and remains one of gaming’s all-time greatest audio experiences. The soundtrack covers everything from ethereal, droning ambience to epic 50-voice choirs and everything between, and the sound effects – crunching snow, howling winds, roaring dragons, and boozy swigs of ale – are as crisp and present as ever. 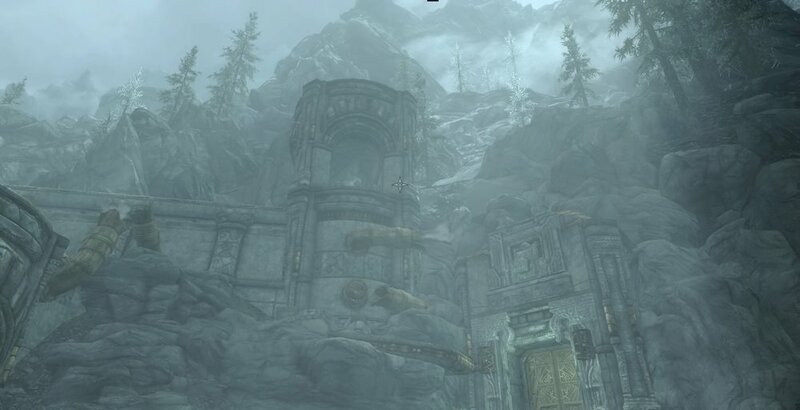 The remaster includes the Hearthfire, Dawnguard, and Dragonborn DLCs, which let you respectively buy property and build houses on it, hunt vampires or become one, and take on a mysterious cult who for some reason have it in for you. Hearthstone is the quirkiest but ultimately the most rewarding: at first it consists mostly of walking around your property at a snail’s pace, overburdened by the sheer quantity of clay and rocks needed to build structures, but eventually opens up into a sort of nordic Sims that lets you build everything from trophy rooms to armor mannequins to shrines, and even assign your more irritating companions to butler duty. Even after all these years and an HD remake, the game remains buggy. Many quests end in an angry Googling that gives a predictive text of “quest name + bug”, and some are broken to the point of being un-completable. Gameplay is also plagued by endlessly repetitive NPCs: the most trivial of spoken lines becomes monstrous in scale after a good 500 or 1000 repetitions, triggered again and again during the quest/loot/sell grind that makes up a large part of the game. The terrain is beautiful but occasionally broken: it’s possible to fall into a corner of the map and have to load a previous save to unstick yourself. Likewise, the game’s mountains, majestic from a distance, often prove a frustrating bundle of sharp, unclimbable polygons up close, requiring a diagonal path and hundreds of tiny, frail jumps to scale. And yet there’s something undeniably substantial – meaty, even – about the game. 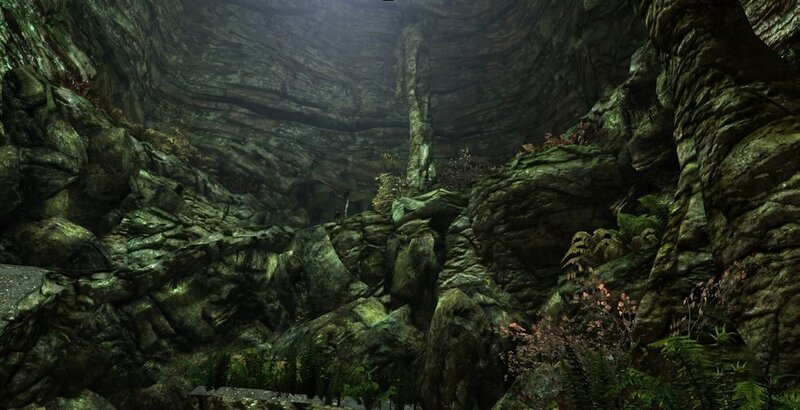 Compared to the realness of Skyrim’s rocks, tree stumps, cabbages, potatoes, mushrooms, giant rats, pies, salmon steaks, icebergs, dwarven gears, ancient mummies, and chicken eggs, the Dragon Age and (admittedly fantastic) Witcher series feel somehow more insubstantial and game-like. If Dragon Age is outdoor theater and The Witcher is a heady brew of R-rated mythology, Skyrim is a night under the stars by the fire with a flask. It’s not just the possibility of playing the latter in first person (the only way to play it for many of us) that makes it feel closer and more tangible, it’s the sometimes chaotic way the player, NPCs, monsters, creatures, and objects interact. Slay a troll, walk a bit further, and you may find a dead rabbit or deer that some unfortunate algorithm brought into its path just prior to your arrival. Dragon battles, which cover wide swaths territory that can span towns, open countryside, and settlements, provide a perfect storm of chaotic interactions. Once, out for a stroll and minding my own business, a dragon swooped down from the sky, flew past me, and blasted a nearby giant with its frosty breath. Both whaled away at each other for a while, and when a passing orc saw them it joined the fray. After a few more blasts of frost, the orc succumbed, and the message “Quest Failed: The Lost Tribe” appeared onscreen. What I’d thought was a randomly generated NPC was an active character, and dumb fate had shut down his storyline before it could start. I was impressed and irritated in equal measure. Story-wise, the very beginning and very end of the game remain the weakest points, and the inevitable shoehorning into one of two factions will be a bit disappointing for the more independent-minded adventurer. The game is strongest in its middle third, when enemies are still somewhat challenging but never unbeatable – and the visually arresting Blackreach storyline, which serves as a transition into the game’s final act and its de facto gravitational center. Assuming one follows the main quest line fairly directly (i.e. 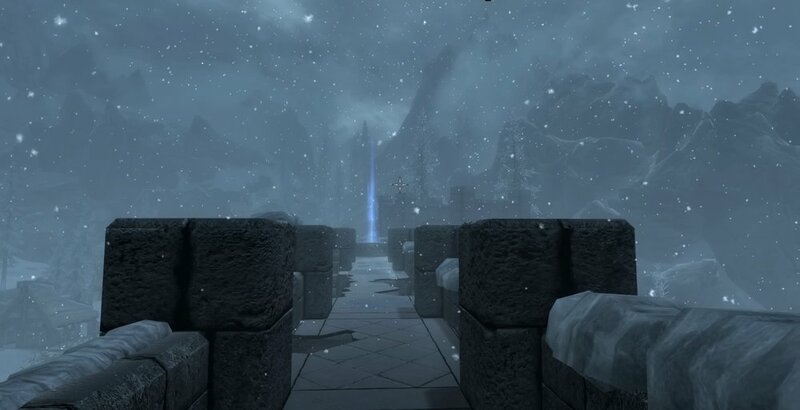 with about a 1:1 ratio of main quests to side quests), Blackreach will come near the end of this mid-game level grind, serving as an extended, expansive, open-ended dungeon experience that stands with the best and most atmospheric environments of an already incredibly atmospheric game. Once, trying to figure out the game’s strangely resilient and lasting appeal, I talked to a friend who was also a fan of the game. He described having had his eye on a flirtatious huntress from some village or other, and finally managing to follow the right series of quests to propose. After exchanging vows they went everywhere together, and once every 45 minutes or so, like clockwork, she produced the same line: “I killed a bear today. Did you kill anything?” Day after day, she relentlessly repeated the question, until he finally couldn’t take it anymore and selected the “part ways” option. There are countless ways to play the game, but one of the best is to turn off every quest marker and just wander. The game throws tableau after incredible tableau at you, and for such a chaotic, messy, loud, buggy, hilarious stew of a game, it can nonetheless surprise you with moments of quiet beauty. All screenshots from Skyrim: Special Edition (2016, PS4).